In 2014, The Vietnam Network of MSM and Transgender (VNMSMTG) has participated in JumpStart project. JumpStart is APCOM’s flagship capacity strengthening programme for community organisations. Formerly initiated under a partnership with Australian Federation of AIDS Organisations (AFAO), JumpStart aims to improve, and build on an organisation’s existing management and advocacy, while encouraging leadership for a community-led HIV response. The project serves as well as a catalyst for the organisation to explore their core competencies that they can build on and, at the same time, explore skill development areas that they still need. 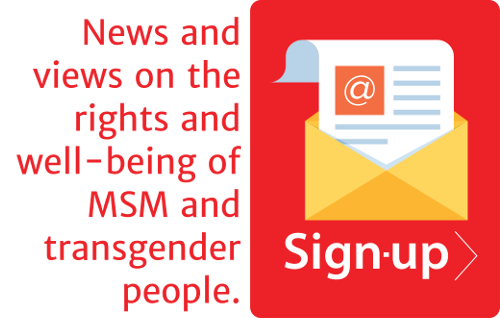 VNMSMTG was founded in July 2013 to gain a stronger advocacy voice for MSM and transgender people, and to support the scale up and quality provision of MSM and transgender specific programmes and services in Vietnam. As of October 2014, the network has 102 members across 38 provinces. 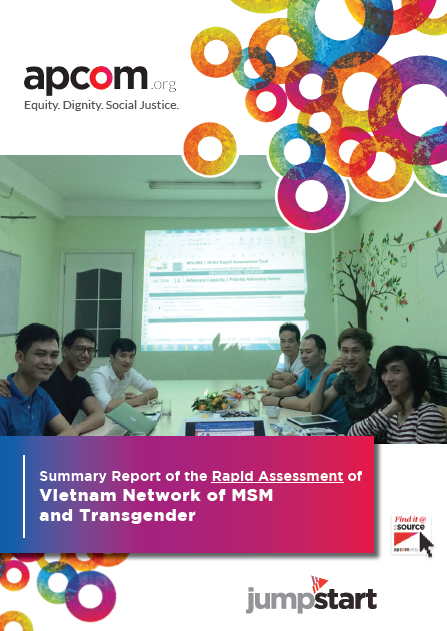 “A Capacity Assessment of the Vietnam Network of MSM and Transgender” report provides the findings of the organisation’s assessment in 17 key organisational and programmatic areas appraised through Jumpstart.